New York City is one of the best destinations in the world for foodies looking to dig into the scene of delicious, multi-cultural options. Brunch is a staple as the social element of catching up with friends encourages patrons to get out and about for a midday feast. 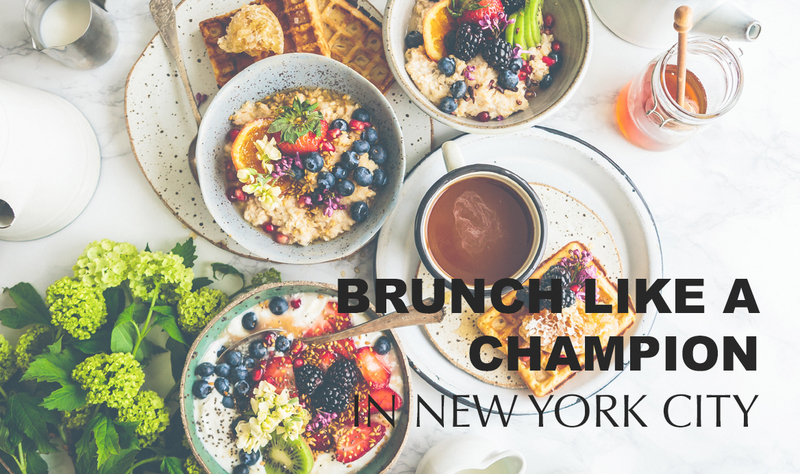 From Manhattan to Brooklyn, these brunch spots are sure to impress during your next visit to the Big Apple. This simplistic American eatery in Chelsea serves up delicious plates you can count on to satisfy your brunch cravings. The busy space will be worth the wait as you dine from their seasonal menu of eggs, sandwiches and other mouth-watering bites. This contemporary Mexican destination mixes a simple aesthetic with flavorful favorites. You can chow down on enchiladas and chilaquiles or try something new with duck wings and cauliflower tacos to round out your meal. Travel to the heart of Harlem to experience this American-inspired neighborhood hot spot. 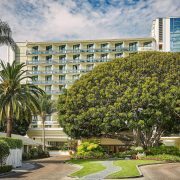 The rich culture of the community inspires the food with weekend brunch offering up biscuits and gravy, chicken and waffles, and apple pie that will make you feel right at home. This Lower East Side hot spot is well known for its brand that extends further than being just a restaurant. Outside of grabbing a bite at the Dimes Market or deli nearby, the Dimes restaurant dishes up tasty brunch dishes that are both savory and sweet. You’ll have no problem relaxing with Fairfax’s welcoming, neighborhood vibe of homey décor and all-day café hours. The Mediterranean brunch menu of small plates pairs well with the quality wine list, giving the West Village space its wine bar label. A touch of Southern comfort is brought to your plate at Jacob’s Pickles in the Upper West Side. The charming environment of rustic wooden accents gives a nostalgic feel while the “beer, biscuits and pickles” will take your tastebuds on an American journey. With attention to seasonal ingredients, your brunch experience is sure to be fresh with Upland’s philosophy of global dining. The California-inspired cuisine of eggs, sandwiches and pastas take rural elements of the great outdoors to combine with NYC’s urban landscape. This NYC staple has two locations that both deliver flavor-filled cuisine influenced from the multi-cultural beginnings of the restaurants’ owners. 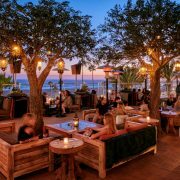 The bustling crowds of stylish brunch-lovers keep things busy as hungry patrons feast on the one-of-a-kind culinary mix of South African and Israeli cuisine. Head to one of Café Mogador’s locations to eat, drink and be merry thanks to their mouth-watering menu of Moroccan-inspired cuisine. This award-winning brunch destination will add some spice to your life along with house-made breads and savory roasted tomatoes and potatoes. If you’re in the market for a meat-free brunch, abcV serves up dishes that are sure to surpass expectations. Whether you’re in the mood for fruits, grains or pancakes, their unassumingly plant-based menu will leave you feeling satisfied. If you’re in the mood for a margarita brunch, head to Agave for an Arizona-inspired space with whimsical Mexican dishes. 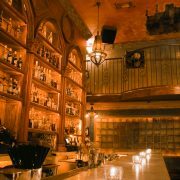 This West Village hot spot also provides you with an extensive tequila selection that makes for a boozy way to start your day.